Edinburgh's Sheraton Grand Hotel & Spa is set to undergo a multi-million pound refurbishment as corporate bookings recover. The work will increase the overall number of rooms at the property to 268, all of which will be upgraded. A new ‘Club' floor featuring superior rooms, private lounge and access to a rooftop hydropool, will also be created. The property currently offers 11 meeting spaces, the largest of which is the 5,382sqm Edinburgh Suite. Sheraton Grand Hotel & Spa general manager JP Kavanagh said: "It is time to completely improve and enhance the rooms product with this sizeable investment in Edinburgh's largest conference hotel. 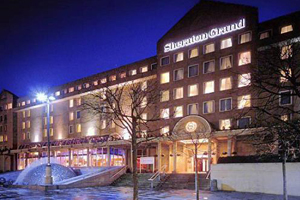 "As the economy begins to recover, the Sheraton Grand will be in an enviable position. We are already starting to see growth in occupancy, particularly in the important corporate market, which is very encouraging." Work is due to start in January and should be completed by July 2010.